New-kid-on-the-block Salestack is a data-driven sales accelerator that gives lead discovery a new face by changing the way businesses select, qualify, and warm-up their sales leads. It solves the pain of manual prospecting by translating the description of an ideal prospect to real, warmed up, and interested leads. 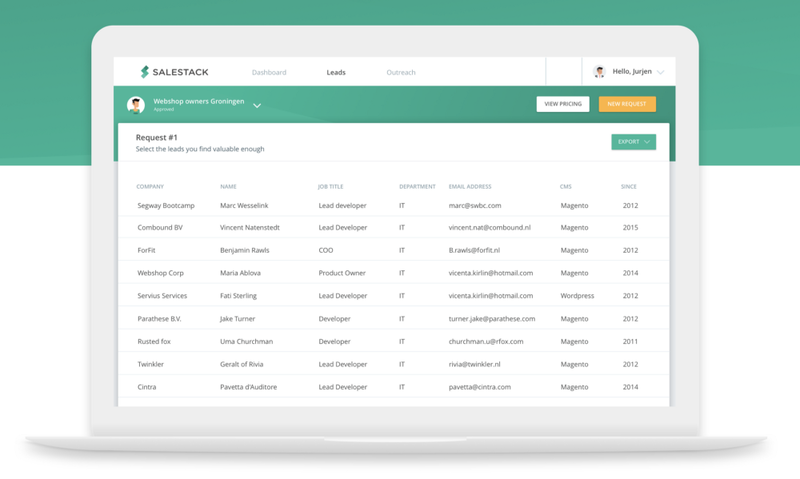 By aggregating multiple data sources, Salestack creates synergy between them to hand you the best possible leads on a silver platter. It then finds the decision maker and gets you all relevant contact details. A data-driven one-stop-shop to drive sales and create hyper-targeted email campaigns for a rock solid sales pipeline. First off, killer software to finetune outreach to any prospect in ways that dramatically increase lead conversion. 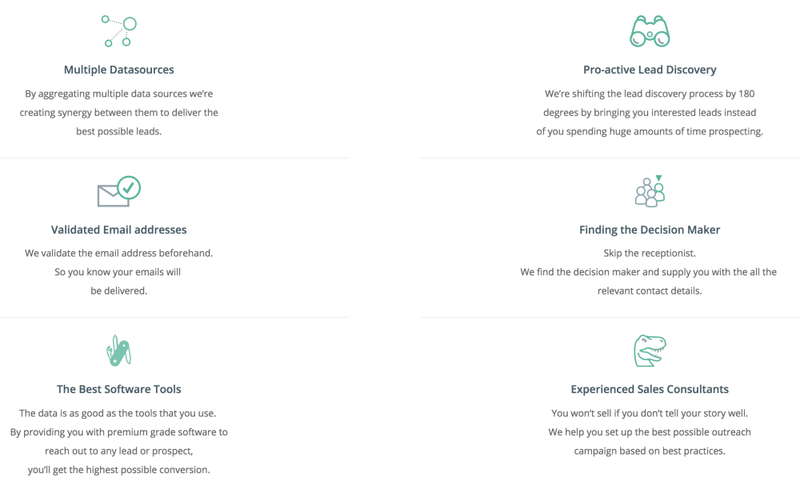 Then tailor-made support from experienced sales consultants to help you set up the best possible outreach campaign based on best practices, to rev up your sales process and bag more sealed deals. After all, you’ll only sell if you tell your story well. In this issue of Sales Heroes, Salestack shares the tips and tricks on filling up your sales pipeline and using Salesflare to follow up on leads and close deals. What is Salestack all about? “Accelerating your sales process — even for smaller businesses — can be a big challenge. There are so many different tools, data providers, and lead generators, that finding what’s the best fit for you can be a frustratingly expensive and time consuming activity. At Salestack, we are a one-stop shop for sales acceleration. We are a one-stop shop for sales acceleration: we take this load off our customers’ shoulders and directly supply them with the best tools and the best possible data, that’s right for their businesses. How does Salestack do sales? “When you do sales acceleration for others, you should almost practice what you preach when it comes to your own sales process; and that is what we do. Generating leads is what we do for a business. ‘We combine and aggregate the best available commercial and open data sources to provide our customers with the data they actually need to succeed in sales. “Probably the way it’s meant to be. By using multiple plugins, such as the Chrome and email plugin, we create and update our contacts at anytime and anywhere. And with the Zapier integration in Salesflare, we are able to connect the Salestack application and all our other tools in awesome automatic flows. Everything fits nicely together. With Salesflare, we always know where we are in sales and where to act. “Try something new, but beware that you don’t get lost in all available tools and worthless solutions out there. Thanks to automation tools like Zapier you can pick the very best tool for every aspect of your sales process and stack them together in an automated flow that works for your business. Click here to read how our previous Sales Heroes from BubbleStudent use Salesflare to revolutionize the student house market in the UK. Click here to read how the Sales Heroes from AIESEC use Salesflare on their to drive leadership development in young potentials all over the world.